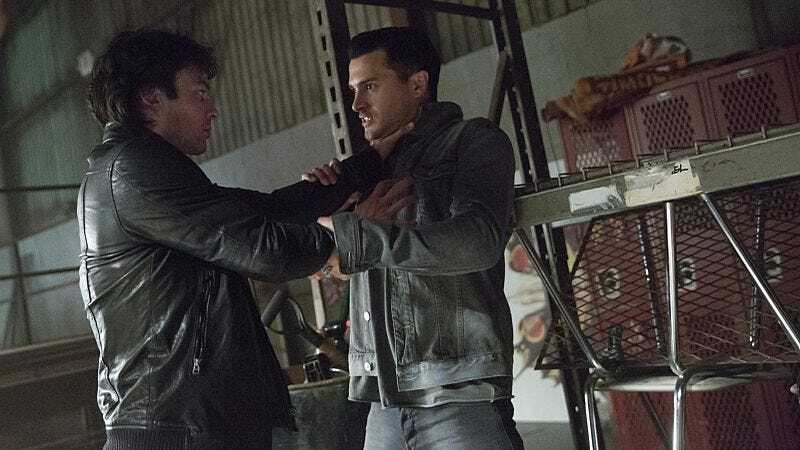 The Vampire Diaries poses the question: Is this Damon’s point of no return? "You Decided That I Was Worth Saving"
If Sybil can go in and erase all of Damon’s memories of Elena, why can’t she erase Enzo’s memories of Bonnie? Is it because his humanity is still intact and that prevents her from doing it? This is never quite made clear. Caroline has a wedding book that she apparently made when she was a tiny person. That’s not weird or creepy or anything! “Would it be going out on a limb to say we stab her with it?” This show does love a good stabbing. 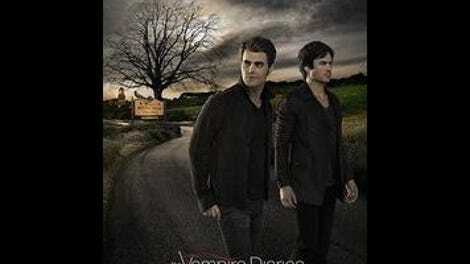 Which is quickly demonstrated by Damon getting stabbed right in the gut by Caroline. The idea of Sybil erasing Bonnie from Damon’s memories is way more traumatic than her erasing Elena, for me. Their friendship has basically saved these past few seasons. Alaric couching his concern over figuring out the magic hell tuning fork as him being worried about getting a good project so he can get tenure is pretty amusing. It’s totally not going to work, but it’s amusing. Sybil gives Bonnie the ultimate choice: Who does she want to live, Damon or Enzo? Otherwise she’ll just make them fight to the death themselves. This is pretty basic and boring, Sybil, for such an all-powerful, immortal evil. At least the shot of Enzo and Damon launching themselves at each other right when the clock struck 9 was cool. So the tuning fork from hell hurts Sybil’s head? There better be more to it, like you use it for stabbing. Always more stabbing! After a fairly decent first two episodes of the season, this one felt a lot like treading water in a very shallow pool. A shallow pool filled with ways to torture Bonnie Bennett.